LR atomizers have a lower resistance than standard atomizers. This means that they run hotter and create more vapor than standard atomizers. The drawback to LR atomizer is that they drain the battery quicker and tend to have a shorter lifespan. Tired of constantly refilling? The eGo-Tank is the first e-cigarette to apply the new tank system. The tank system uses a special eGo-Tank atomizer and eGo-Tank cartridge. The eGo-Tank cartridge can hold up to 1.2ml of eLiquid and does not have any sponge filler. Simply fill the eGo-Tank cartridge with your favorite eLiquid, attach it to the eGo-Tank atomizer, screw on the battery and puff away until the 1.2ml tank is empty! The eGo-Tank offers 5 times more puffs until a refill is needed when compared to normal e-cigarettes. This revolutionary tank system makes refilling much easier and less frustrating by reducing the need to constantly refill or drip. This atomizer no longer comes with the "dummy" cartridge as seen in the images above. 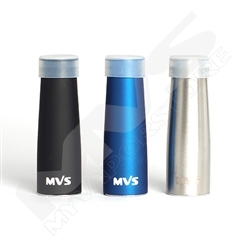 Compatible with eGo batteries, eGo USB Passthrough or eGo-Tank batteries. 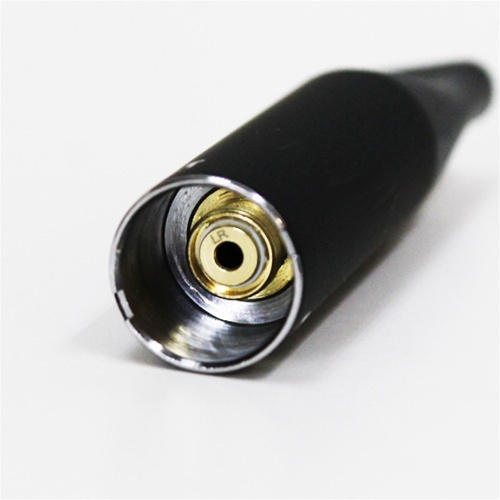 This atomizer will only work with eGo-Tank Cartridges and will NOT fit any other cartridges or drip tips. I ordered (Type A) and received (type T). I used it with not knowing so I guess it's not returnable. Someone needs to double check orders b4 shipped. This was where I first bought my JoyETech e-cigarette and I always come back to get replacement atomizers. I live all the way out in Hawaii and it still only takes a couple days for me to get whatever I order. Thank you for that. This was the first time I bought from your store. The original order was shipped to me but was the wrong order it was taken care of very easily and quickly and I thank you for that. I will be looking forward to doing business with your store again. The mistake that was made was an easy one to make and hold no disregard because of it. Thank you for taking care of the mistake and shipping my order in a very timely matter. Again I thank you.